Member of Chabad movement performs CPR on African American man who collapsed in Crown Heights, Brooklyn. A member of the Chabad-Lubavitch Hassidic movement helped save the life of a man suffering from heart problems in New York City, spawning a viral video spread via social media networks. The incident occurred Wednesday afternoon in the Crown Heights neighborhood of Brooklyn, when an African American man riding in a car on Eastern Parkway suddenly lost consciousness and collapsed. After the car stopped and the man was removed from the vehicle, a crowd gathered around the stricken man. 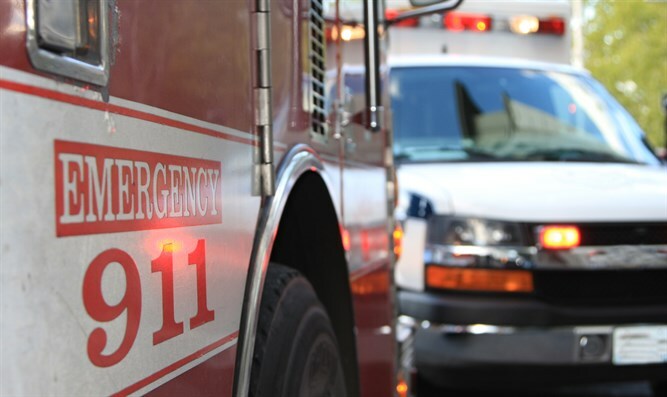 One member of the Chabad-Lubavitch movement, however, sought to revive the man who had collapsed, performing CPR on him while others at the scene called 9-1-1 and attempted to flag down an ambulance. According to Yeshiva World News, the Chabad Hassid is an Israeli student who traveled to New York to study at 770, the headquarters of Chabad-Lubavitch. After the man’s vital signs returned following the CPR, the crowd can be heard in the video cheering the young man. Emergency medical teams later arrived on the scene and evacuated the victim to a local hospital for treatment.